Sky could be subject of £28bn takeover bid | What Hi-Fi? French media conglomerate Vivendi is said to be interested in taking over Sky, in a bid to expand the reach of its Canal Plus TV group. A source, speaking exclusively to Reuters, said that Vivendi has recently been interested in smaller pay-TV services in Turkey and “other fast-growing markets in Europe”, and has now turned its attention to Sky. Sky reportedly has a market value of around £17.6bn, but Vivendi would also have to pay off debts, bringing the total potential cost nearer to £28bn. The French company reported a €2.78bn profit in 2013, with equity of over €19bn. Reuters’ source has said Vivendi has yet to make a decision as to whether to go ahead with the deal or not and there has been no official approach to the boards of Sky or 21st Century Fox. The man who will have the final say on any deal is Vincent Bollore, Vivendi’s chairman and largest shareholder with a 12 per cent stake. 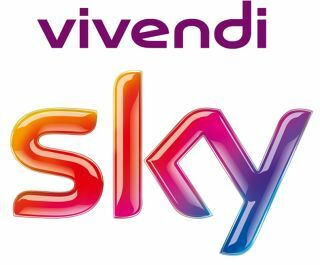 In July 2014, BSkyB successfully acquired Sky Italia and Sky Deutschland, which were renamed Sky. As a result of the acquisition, Sky now serves 20 million customers in five countries. It’s reported that some senior figures at Vivendi are sceptical of the takeover, with video streaming becoming ever more popular, meaning fewer people may sign up to pay-TV services. Netflix for example has more than 50 million subscribers in 41 countries, and around 4.5 million of these are in the UK.